During the heyday of its speaker development program in the 1960s and 70s, the BBC had an opportunity to design speakers using direct comparisons to live music, including orchestral music, in a way never equaled before or since. Not surprisingly, the principles established then have stood the test of time. In the intervening decades, driver technology has progressed, and the Graham Audio “reissue” of the BBC LS5/9 has a modern bass/mid driver, developed by Volt specifically for this new model, as well as the latest version of the tweeter. This new version of the LS5/9 preserves the essential truth-to-music of the original BBC designs, seldom equaled since, but with additional dynamic capacity. The neutrality of the speaker is impressive on its own, and with a few small tweaks with DSP EQ, it enters a world of tonal truth shared by very few others. (People are always saying nowadays that some speaker or another is neutral, but, more often than not, this is more optimistic than truthful.) The realism arising from truth to timbre is increased by superb resolution of detail, with inner parts of complex music fully realized and spatial information made clear, all without any hint of top-end edginess—the price one can have to pay all too often for such detail, but not here. 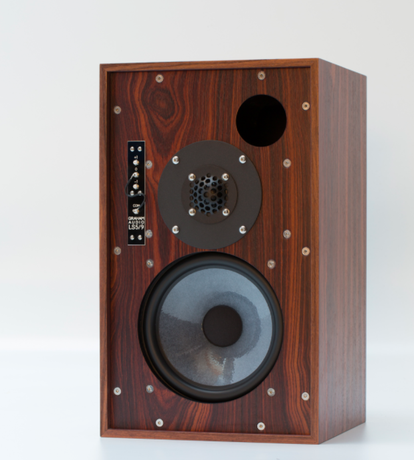 The LS5/9 is a small monitor, and adding a subwoofer system is desirable for complete realism, though the speaker sounds properly warm and solid to a surprising extent on its own. Do not be fooled by the functional and perhaps even old-fashioned looks: This is a profoundly thought-out design. And it sounds more like real music than the vast majority of other speakers. This turntable, which shares the historic name and appearance of the long-running SL-1000 Series but is in fact a new design, offers performance at the very highest level, belying its relatively modest price. (The included ’arm is acceptable but is not quite at the highest pinnacle. Comments here are on the turntable itself.) Its silence and speed stability are competitive with any turntable available and are far superior to most, even very high-priced ones. The turntable’s sound is rock solid, very pure, highly resolved, and very lively in the positive sense. One has very much the sensation of hearing what is actually on the record. The Technics is not the only turntable in its price range (or lower) to have challenged the high-priced world: I think of the Well-Tempered Amadeus, for example (2009 Golden Ear Award winner). 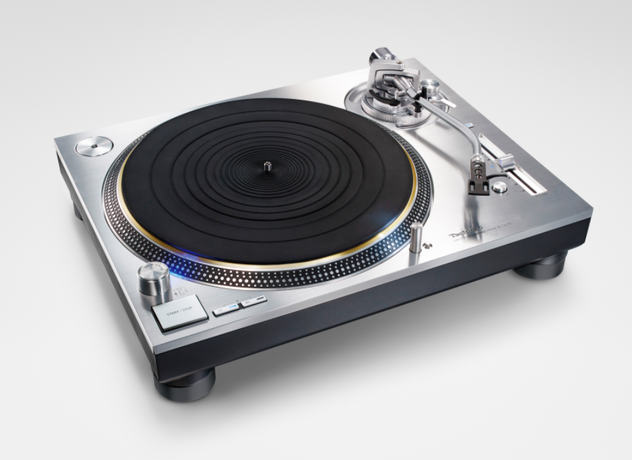 But the Technics has an important feature offered by few of its high-end competitors at any price: adjustable speed. Surprisingly many records, especially from the early days, original or reissued, are not in fact at the correct pitch if played at standard speed. And the difference when one adjusts them to be correct in pitch dwarfs the other differences among high-quality turntables. Once you have experienced this possibility of hearing music on pitch, you will not want to go back. Until someone re-issues the Nakamichi disc-centering (and speed-adjustable) turntable, this is as close as you can get to hearing records pitch-perfect. This is a turntable for musicians and those who share musicians’ sensibilities.